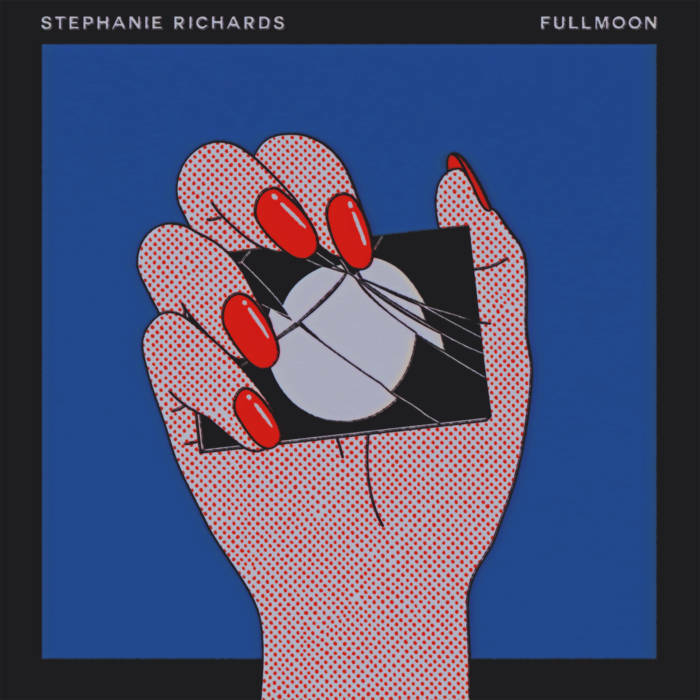 I already had the album Fullmoon high on my list of anticipated releases, so when trumpeter Stephanie Richards announced the brief live tour for the album’s release would pass through LA, I was thrilled. 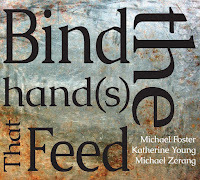 I also had a chance to catch up with the album proper, as well as Richards’s two other new releases, Trio Music, with Vinny Golia and Bert Turetzky, and Thaw by Resonant Bodies, a duo with Andrew Drury. Fullmoon is remarkable, full stop. 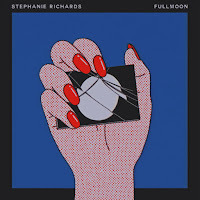 It’s a daring release for Richards to put out as her proper debut, and kudos to Relative Pitch for supporting her. 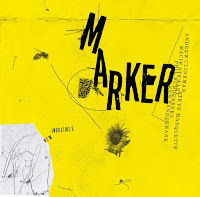 Relative Pitch has done a remarkable job showcasing albums by women, most recently solo and duo albums from Catherine Sikora, Susan Alcorn, Ingrid Laubrock, Birgit Ulher, Jessica Pavone, and Magda Mayas. 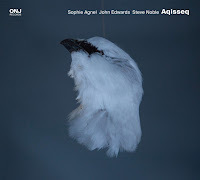 And their support of Richards once again shows how valuable a label they are, especially when it comes to free improvisation and experimentation. Over the course of half an hour, Richards, together with Dino J.A. Deane (maybe best known for his work with Lawrence “Butch Morris), charts a wide, deep sonicscape that invites you to plunge straight in. The album is divided into phases of the moon, “New,” “Half,” and “Full” parts 1 and 2. Separating each phase are tracks highlighting Richards’s interactions with a single percussion instrument: “Snare,” “Piano,” “Gong” parts 1 and 2, and “Timpani.” Throughout, Deane samples, processes, loops, and transforms Richards live, the two performing what sounds, initially, like an elaborate dance. But what really struck me was learning the album itself was 2 years in the making. Although recorded in a single day, Richards spent two years re-editing the album in the studio with her husband, Andrew Munsey, who co-produced and engineered the album. Knowing this, when you go back into Fullmoon, you can really hear how intricate and deliberate the entire album is, how purposefully the compositions move from one moment to the next. Look for it to reappear at year’s end. 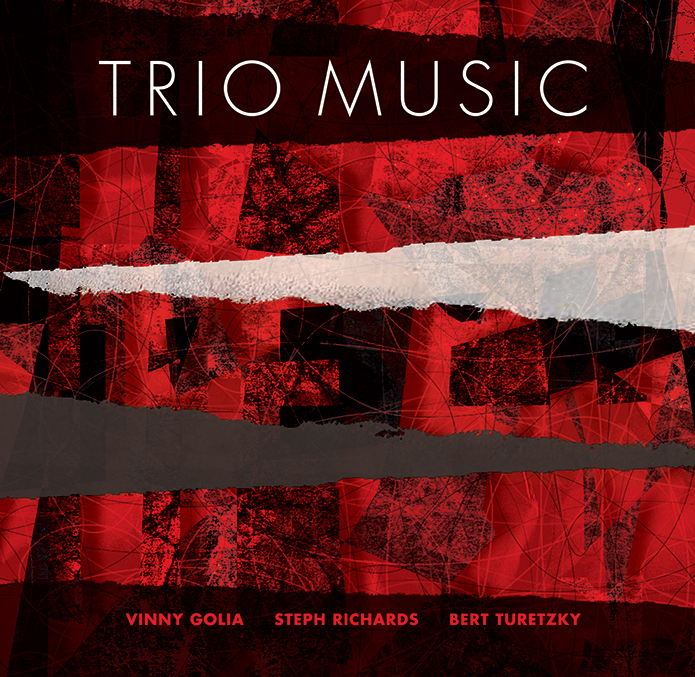 This grouping, with the greats Vinny Golia and bassist Bert Turetzky, emphasizes the players’ fleetness and facility with a chamber-like setting. 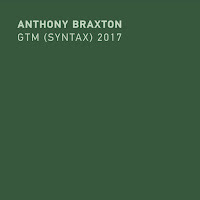 The album is a collection of improvisations, some nicely stretched out beyond the 5-minute mark. 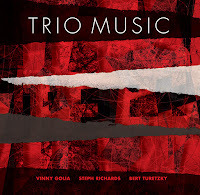 Golia and Turetzky have a rich history performing and recording together, and Richards folds into place easily. After the brief introductory statement “Solana,” Turetzky kicks off the lengthy “Proprioception,” a term that relates to the movement or position of a body in space. There’s a remarkable adaptive quality to each player’s approach that’s on display throughout the album. As the title of the finale, “The Duo That Became a Trio,” suggests, there’s hopefully more where this came from. 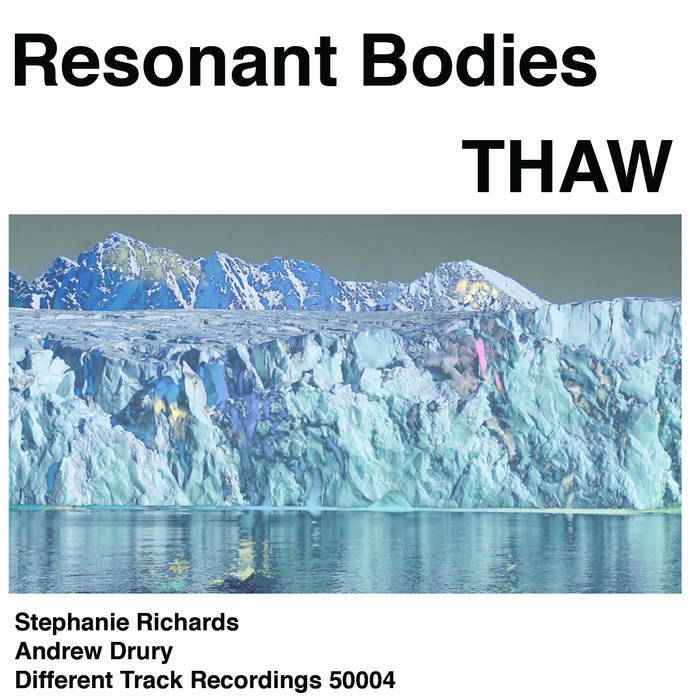 Richards has steadily established herself as one of the most engaging experimentalists, so a duo with Andrew Drury, equally adventurous and engaging, seems like a natural fit. 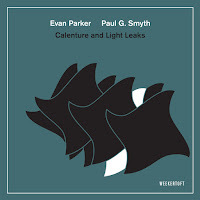 Collaborating on a series of improvisations, constantly upend listeners’ expectations of how and when sounds will appear. 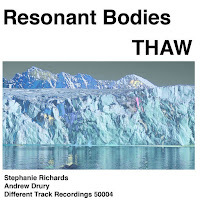 For example, “Drangajökull” presents Richards playing long, somewhat percussive tones, as Drury complements her with equally brassy percussive notes. This sonorous tension is sustained throughout the album, broken up periodically by Drury’s dramatic cracks and rolls on either timpani or floor tom, as on “Snow Dome” and “Athabasca.” The seismic effects weren’t lost on the performers, who named the tracks after glaciers, having decided the “timbres suggested thawing glaciers to us—groaning, cracking, splitting, of large masses of ancient ice under extreme pressure, moving and melting.” The title, however, adds an additional elegiac layer, and the finale, “RETREAT,” sounds more like a plea than a coda. Before I pressed play on the album proper, I went to see Richards live on her brief album-release tour. The theater space at ArtShare LA sat about 10–15 of us, and Richards was joined onstage by Dino J.A. Deane, probably best known for his work with Lawrence “Butch” Morris. With Deane set up at a table stage right, the rest of the stage was open for Richards to move from center-stage microphone to playing directly into a snare drum, timpani, or piano, as she switched periodically between trumpet and flugelhorn, and rotated through a series of mutes. Her physical movements reflected both her wide-ranging experiments with sound and space, as well as giving us a visual representation of the track titles from Fullmoon—minus “Gong,” as there wasn’t one in the space. The performance, augmented by Cossa’s excellent visuals, lasted over an hour, and even more firmly established Richards in my mind as one of the leading trumpet players and improvisors. Deane’s in-the-moment sampling and processing of Richards made for some incredibly clever exchanges, and Richards left the stage area a couple of times to give him additional room to improvise. Richards has a way of universally expressing something that feels deeply personal and unique, even while the performance itself (say, a trumpet played against the strings of a piano) may appear radical and oblique.